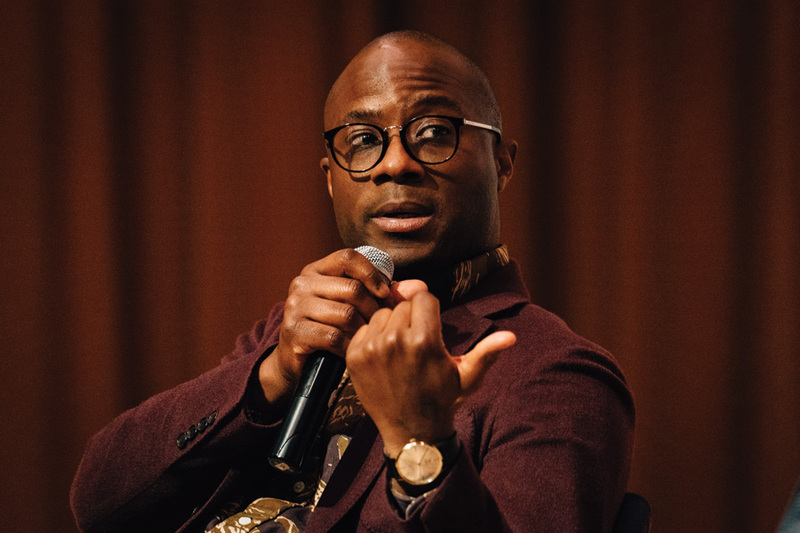 “Moonlight” director Barry Jenkins speaks at Ryan Auditorium in the Technological Institute on Saturday. The Academy Award-winning director discussed the inspiration behind the film as well as issues of representation. Jenkins spoke at NU during an event co-sponsored by A&O Productions, Contemporary Thought Speaker Series, Rainbow Alliance and Inspire Media. His remarks followed a screening of the film, which centers on the life of a gay, black man in Liberty City, Miami. More than 570 students attended the event, which was held at Ryan Auditorium in Technological Institute. During a Q&A session moderated by Communication Prof. Thomas Bradshaw, Jenkins said that, as a straight black man, the story of Chiron, the black boy who struggles with his sexuality while growing up, couldn’t have come from him. That’s why he picked McCraney’s unpublished play and brought it to the big screen under a budget of $1.5 million, Jenkins said. “These people who might have never seen these movies, might have never seen these perspectives or marginalized voices, they can understand them and see them and maybe try to understand what we are going through,” the Weinberg junior said. During the event, Jenkins also spoke about how the film affected the Miami neighborhood it takes place in, Liberty City. He said the movie expanded the way people there see themselves. Jenkins said the film’s trajectory — its awards and the box office numbers — as well as the effect the movie’s success had on those involved in it has raised the glass ceiling for those living in Liberty City. The movie was made for Miami, he said, adding he hopes its message helps communities like Liberty City expand their expectations of what they’re capable of. For a few awkward minutes during this year’s Academy Awards, Jenkins’ “Moonlight” lost in the best picture category, due to an award envelope mishap. And for those minutes, Jenkins said he was okay with losing. But when “Moonlight” was announced as the correct winner — and the award was taken from “La La Land” — Jenkins said he realized in that moment that he was in a room full of people who had the same dream as him. Only 89 movies, he said, have had the chance to stand on that stage to receive the award for best picture. Jenkins also explained why he did not immediately start giving an acceptance speech during the Oscars.